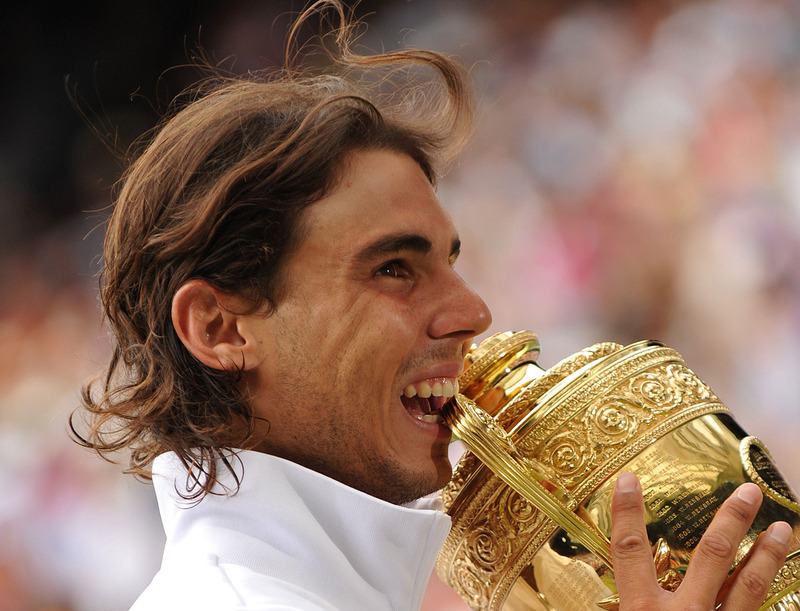 Congrats Rafa on these AMAZING achievements..Best of luck on Wimbledon.Vamos!!! This is an awesome website! Good job dude. And VAMOS Rafa!!! RAFA STAY HEALTHY SO I WILL SE YOU MORE YEARS PLAY TENNIS YOU REALLY IS A GEM !! Congrats RafaelNafalFans.com! You remind us why we love Rafa. Cause he is amazing on his own then cause he is a great tennis player. All these titles and still so realistic and down to earth. Rafa welcome to Brazil! Rio next! Hola Rafael como siempre lo he dicho, eres lo máximo, el mejor deportista y persona del mundo, habéis sido, eres y serás nuestro campeón. best of luck for 2014.wish you all success……<3 with lots of love……. buenas noches rafa Felicitades !!! Good luck to the end ..
Congrats for finding the way Rafa 99 % of the time you do, will be cheering for you today on your match with Roger .. V A M O S RAFA!! Se Rafa não ganhar vcs são como o Brasil só tem ladrão e ignorantes!Mario Cesar Rodrigues! You are unstoppable Rafa!!!! Rooting for you in Wimbledon! Rafa simplesmente é o melhor atleta da atualidade , uma pessoa fabulosa um exemplo para os futuros atletas , tem garra é determinado e é um cavalheiro na quadra e fora dela, ter postura hoje e ser bem educado faz a diferença, parabéns por ser assim mais um motivo de minha admiração !!!!!!!!!!!!!!! Love your fan page, is incredible why you upload all the things of rafa, is why I know daily about rafa, congratulation! Best of luck to you on your comeback!! Will get the tennis world back on track! !